Friendly Neighbourhood bar for all, in the heart of Fade Street, Dublin. 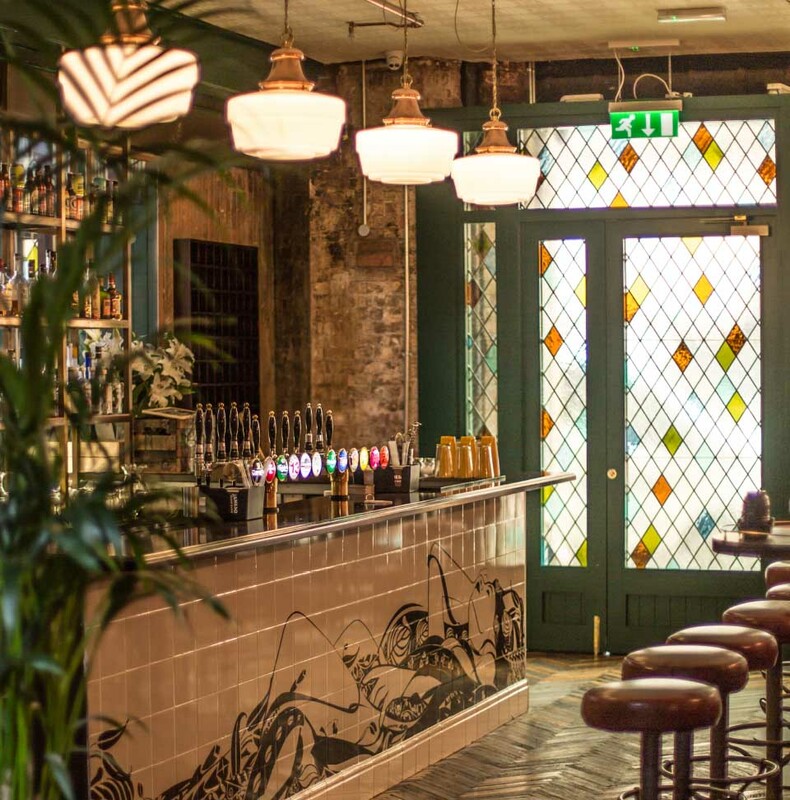 Friendly Neighbourhood bar for all, in the heart of Fade Street, bringing you the best selection of the Irish Craft, we bring the Irish Boilermaker to you, pairing together with what we do best, whiskey and beer. To gins, craft beers and our twist on cocktails from an era we tip our hat too, when the music was full of soul, the people were full of inspiration and everybody around where there to have a good time. In April 1942, the transformation began of Idlewild golf course to Idlewild airport (now JFK airport) in New York. Like all good construction projects in America back then, the Mafia and the Teamsters had an interesting role in its development through their legendary “consultancy agreements”. into the building, an establishment which they operated for their colleagues, friends and molls. Legendary artists and actors would regularly frequent this bar pre and post fights with the likes of Frank Sinatra, Dean Martin, Marylin Monroe, John F Kennedy, Angie Dickinson and Sophia Loren all stopping in to get away from the paparazzi. If only the walls could talk! It also may have been the birth place of a secret love affair between a president of the free world, and the most glamorous blonde bombshell of all time. Legend has it that the manager of this ‘fine upstanding emporium’ was Irish and subsequently went on to manage the Flamingo in Las Vegas on the recommendation of Mr Sinatra and the Rat Pack. We tip our hat to this era, to the colourful characters, and the Irish connection. 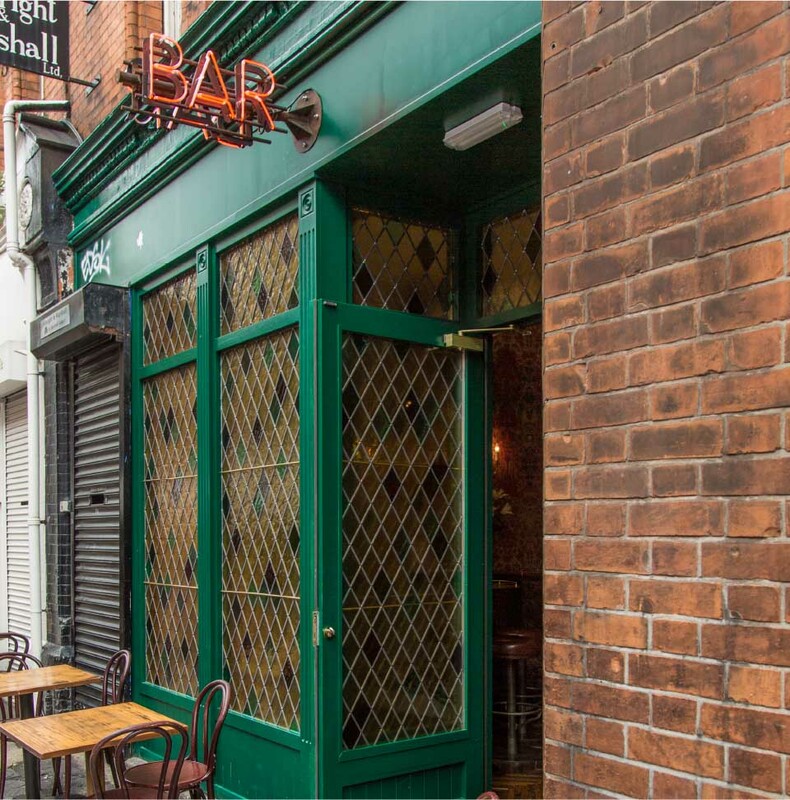 In this little neighbourhood bar at 14 fade street, which itself had a colourful history as a place where ladies of the night kept residence in the 1830’s in the basement. German style Kolsch beer brewed in Sligo, this is a crisp refreshing beer thats serves as a perfect intro to the craft beer world. A smooth and refreshing ale from Kildare featuring both British & American hops, with subtle fruit flavours and a crisp finish. A fuller bodied pale ale crafted in Donegal provides a refreshing flavour complimented by a hoppy accent at the finish. Heavy additions of Citra & Amarillo hops mean that this session pale ale provides a big punch despite its easy drinking ABV. A world famous American IPA providing complex fruity flavours & a balanced aromatic finish. Brewed in north Cork, this IPA was voted Irelands beer of the year by the Irish craft beer association, Beoir, in 2015.
is Dublin Brewery’s hybrid style provides all the complex flavour of an IPA in conjunction with the fruity citrus you would expect from a wheat beer. Brewing with new breed German hops, & a combination of German & Irish malts gives this IPA a full bodied mandarin & grapefruit flavour. A full flavoured hazy amber ale with a caramel and chocolate sweetness on the finish. A lively red ale with a sweet caramel backbone. Piney aromas come from a generous helping of west coast American hops. is award winning jet black porter is brewed with a hint of coconut that adds a velvety smooth sweet taste to complement the rich toasted malts. A chocolate milk stout that has to be tasted to be believed. A velvety mouth feel pairs with flavours of chocolate, coffee and cream. Predominant blackberry flavours with a peppery hint. Dark red, ripe dark berries, plums & smoked spice. Packed with strawberry & raspberry aromas as well as a touch of earthy spice. Forest fruits, earthy & well balanced tannins. Refreshing finish, with pineapple & grapefruit notes. Bright aromas of melon & hints of honey. Crispness & richness comes through, with apricot & peach notes. Alive with bright nettle leaf, dried seasonal hops & tropical characters. Well balanced, pale pink in colour with fruity avours.